After inspiring countless memes, imitations and covers, there's no denying the fact that Stormzy's track Shut Up is a cultural phenomenon. Originally released as a freestyle video in May 2015, the video that's filmed in a London car park has become a viral hit that gained millions of views and at present, it has reached 81,645,505 views on YouTube. Hell, the video was so successful that the grime rapper even launched a Christmas number one campaign to get the track to the top of the charts. The non-single track was also included as the penultimate tune on Stormzy's award-winning debut album, Gang Signs & Prayer. The recent mural featuring the English rapper was an indication of the love that Irish audiences hold for him, and we've just been given another fine example. 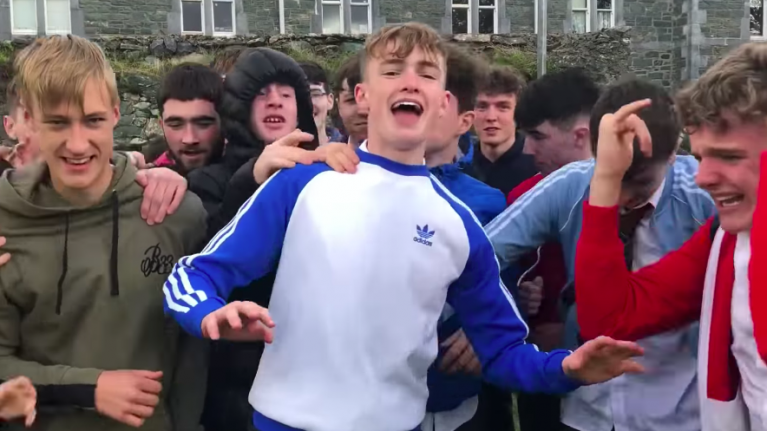 The transition year students at St Brendans College in Killarney have performed their own version Shut Up as Gaelige and it's quite something. If you've ever wondered what rap sounds like when it's performed in our own language, this is for you.